you in becoming a well informed and educated consumer. The selection of a Certified Professionally Endorsed Yacht Brokerage firm will provide an invaluable tool to facilitate an ideal closing. your “dream” yacht at the best price. 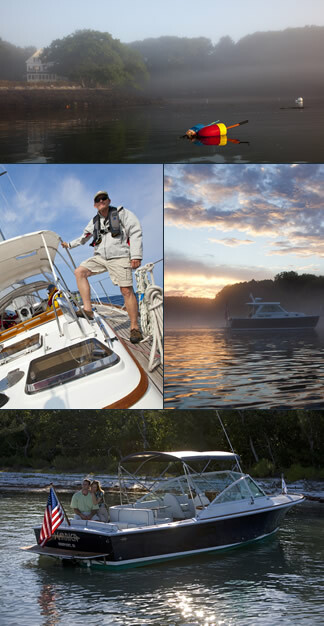 a boat, from assisting you in determining the size and style of the boat of your dream… to commanding your first voyage. With membership access to reliable multiple listing services, we research, preview, and suggest available options; provide a qualified list of available boats; and assist you in finding the one that meets your criteria at a desirable price. We offer an objective viewpoint, present you with available options and provide a better awareness of exactly what you want in a boat; to weigh those alternatives that are most important to you in making your final choice. Address all questions and concerns, keeping you well informed, and progress your transaction in a timely and efficient manner. Represent you in determining a fair price, negotiate on your behalf, and guard your best interests. Utilize the Yacht Brokers Association of America’s “time-tested” purchase agreements, which are written to protect all parties. Assist in finding and scheduling the appropriate surveyor, and participate in the survey and sea trial. Prepare the essential paperwork, obtaining finance and insurance, holding your deposit in a dedicated escrow account, and arranging engine escrows, if necessary, all to ensure your financial security and cover all bases of your purchase. Provide all documents for USCG documentation, title transfer and registration, in order to secure a successful closing. Provide information on yacht services after the sale, such as repair, dockage, inspection, and shipping, all to guarantee you are a satisfied buyer. To learn more please visit our Buying Guide for useful information and tips. Please click here. Name* Email* Phone* What are you interested in?